Two officers called by Bogota parents to assist their emotionally-disturbed son into an ambulance instead tackled the man, and punched him in the head. 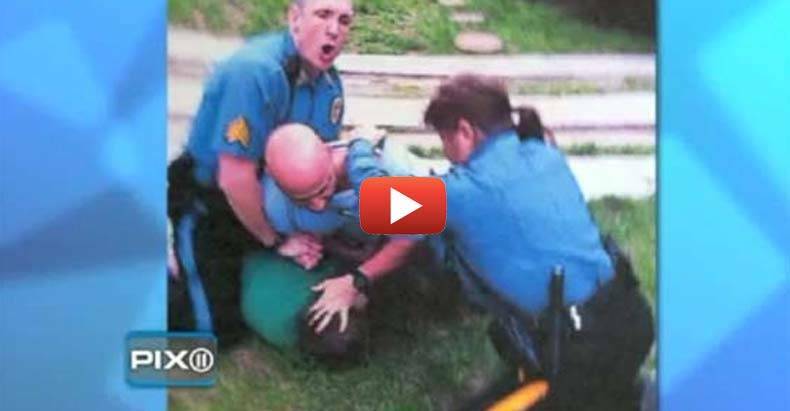 The officers at the time even threatened the victim’s father, captured on tape. “As soon as I get off him I’ll get to you,” he threatened the father of Kyle Sharpe.